The three biggest poker sites on the Pai Wang Luo Network have now began implementing Bitcoin Cash as a deposit method for customers. Bitcoin Cash may be a secondary version of its predecessor, but it is clear that BCH is here long-term – as evidenced by its most recent acceptance into the iGaming world. Like Bitcoin, many online casinos, poker sites and sportsbooks have begun the process of accepting Bitcoin Cash as a primary funding option for players looking to play or bet for real money. In fact, three of the most popular online poker brands in iGaming today just recently opened their gates to Bitcoin Cash, primarily as a deposit method for its customers. Those three brands are of course Ignition Poker and Casino, Bodog and Bovada. Ignition is their biggest US facing poker brand. The three aforementioned sites are all housed on the Pai Wang Luo Network, which is one of the top 10 most-trafficked poker networks in the online poker industry according to PokerScout. PWL has been running games for decades now, with Bodog being the driving force behind the network – something it has been doing since 1994, when the site first opened its virtual doors online. Is Bitcoin Cash Already Available to me on Ignition, Bodog and Bovada? 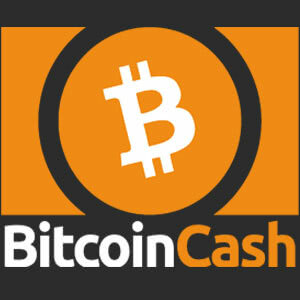 Bitcoin Cash is definitely available for use on all types of PWL software, including Ignition, Bodog and Bovada. However, it should be noted that as of this publication you can only use BCH to deposit – NOT withdrawal. Hopefully there will be more clarification on this as the weeks pass, as it would be very convenient to not just be able to withdraw your funds via Bitcoin, but also BCH as well. In addition, BCH deposits are something that players can only take advantage of Monday through Friday between 8 am and 5:30 PM est. Customer service reps will handle the first waves of BCH deposits in the coming weeks, as you must contact someone via email or telephone at Ignition, Bodog or Bovada in order to complete your 1st deposit using Bitcoin Cash. There’s no real rhyme or reason why PWL is being so specific regarding BCH deposit timeframes or why you have to contact support first in order to deposit, but I’ve been told by managers there that since it is a new alt-coin they want to be 100% sure that deposits are processed smoothly and there are no issues using this option to fund player accounts going forward. If you fire up the Ignition Poker software, for example, on your computer, notebook or mobile phone/tablet, you will notice that once you open up the Cashier backend from the lobby you can easily find the Bitcoin Cash deposit method on an easy-to-use dropdown box. The only options that you should notice that are above Bitcoin Cash in that dropdown are Credit Cards and Bitcoin, which up to now have been the most popular deposit choices for most players at Ignition and other PWL brands. Simply select “Bitcoin Cash” and you will be prompted to contact Customer Service with the number they provide – or you can look up customer service numbers by visiting the Ignition website online. The representative will get your information and provide you with a real-time exchange rate and from there you should be able to complete and track your deposit via the Cashier admin on the software. Most of the time, the minimum deposit for Bitcoin on sites like Ignition is around $25, so for the time being I am going to assume that will be the baseline amount for depositing using Bitcoin Cash as well. Since the two are so closely linked it wouldn’t surprise me that going forward it will be just as easy to deposit using BCH just as it is depositing with BTC. Why is Cryptocurrency Popping up at Online Gambling Sites So Much Lately? In the simplest terms, it’s just about security and accessibility. Bitcoin and the other 1,000+ alt-coins out there not only keep your identity and financial information secure, but they have begun to be accepted into the mainstream by retailers and online shops around the world. Speaking of mainstream, Bitcoin officially became that in the iGaming world when poker sites like Americas Cardroom and BetOnline welcomed it as one a deposit option for its players over 3 years ago. From there, a domino effect of sorts started happening, as more and more poker sites, casinos and sportsbooks also began accepting Bitcoin as a primary funding option. It is estimated that millions of Bitcoin transactions are now processed on a weekly basis at some of the biggest online gambling sites all over the globe. There are even dedicated gambling sites that ONLY accept cryptocurrency and even allow you to bet without registering an account – and the ones that do only need a name and an email and that’s it. Gone are the long sign-up forms and emailing or faxing in deposit verifications. With cryptocurrency, there is absolutely no need for any of that. It is no wonder that sites have not only welcome Bitcoin with such open arms, but now many sites are starting to accepting dozens of other popular digital currencies. The Winning Poker Network made history by becoming the first major gambling network to not just accept Bitcoin, but also tons of alt-coins like Ripple, Litecoin, Dogecoin and more. I would imagine that in due time other major players in the industry will follow suit, possibly even big-time offshore sites like Ignition, Bodog and Bovada. Crypto is simply too big to ignore now. It has major staying power and despite digital currencies like BTC once being known as a type of fad currency in its infancy, the multiple billions in market caps don’t lie – it is here for the long-haul folks.